The Southern Downs Regional Council has no immediate plans to increase urban water restrictions despite the region’s dams being significantly depleted. 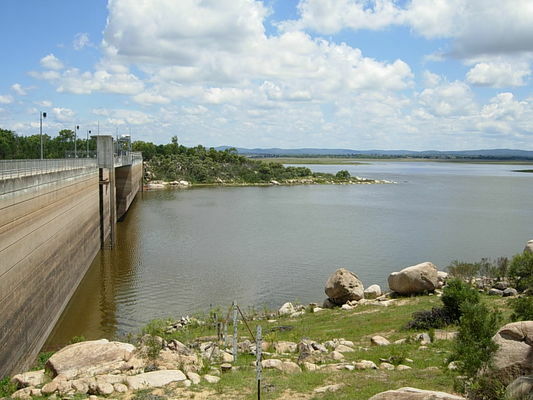 Leslie Dam, Warwick’s primary urban water supply, is currently at 6.4 per cent of useable capacity according to the Bureau of Meteorology website. Current records on the website of SunWater, the state government agency which owns the dam, show the level is at 8.12 per cent, but this does not include the two per cent of the water in storage unable to be pumped out if the dam reaches that level. Experienced dam users predict Leslie Dam could run dry in 12 months with no significant inflow, but the council predicts it would fully deplete in 21 months with no inflow. The last inflow from heavy rainfall into Leslie Dam was in April 2017. Stanthorpe’s Storm King Dam is at 51 per cent of full capacity as of this week. ‘Extreme’ water restrictions for the Southern Downs Regional Council area include a ban on hand-held hosing of gardens and lawns and washing vehicles with a ‘trigger hose’, with a per person/ per day water use target of just 140 litres, compared with a target under the current ‘High’ restrictions of 170 litres. A council spokesman told the Free Times this week that SunWater “updates Leslie Dam water levels on an hourly basis and is more accurate than the BoM figures”. “Also, please keep in mind that the figures for when each dam will be depleted is calculated assuming each dam’s catchment area does not receive sufficient rainfall to cause runoff of water into the dam,” the spokesman said. “Obviously, if the region receives significant rainfall that flows into the dams then these figures will change. “SDRC monitors the water levels at each dam regularly, and has been working closely with the Department of Natural Resources, Mines and Energy to develop the best strategies for managing the region’s water supply. • Storm King Dam: 51% full (1102ML) – will deplete in 11 months with no inflow.